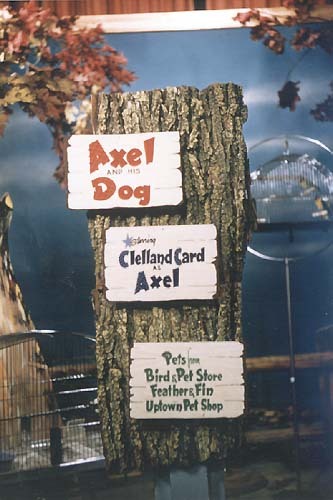 On October 8, 1954, Axel and His Dog was broadcast in color using an experimental technology, making it the first Twin Cities program ever colorcast. A new set was constructed just for the occasion, along with this sign. Notice that Clellan’s first name is misspelled! Axel wore a bright red shirt especially for the color broadcast. 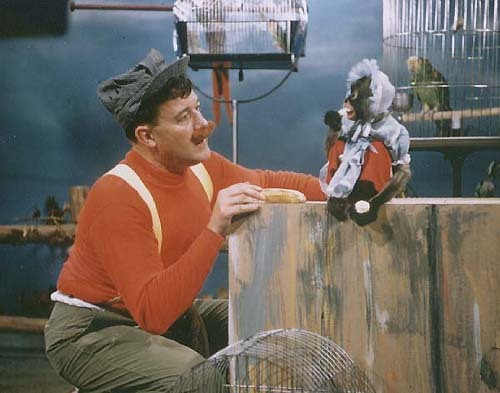 Here he communes with Sylvia the monkey on the set of the colorcast. 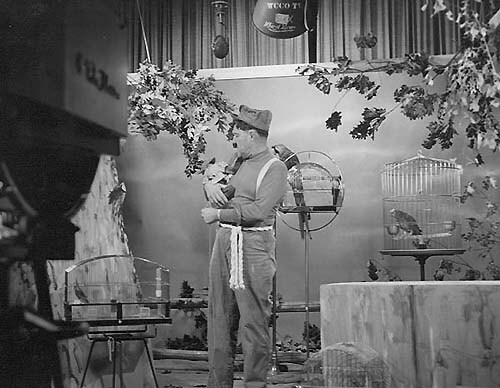 A shot of Axel holding Sylvia on the color broadcast of Axel and His Dog. 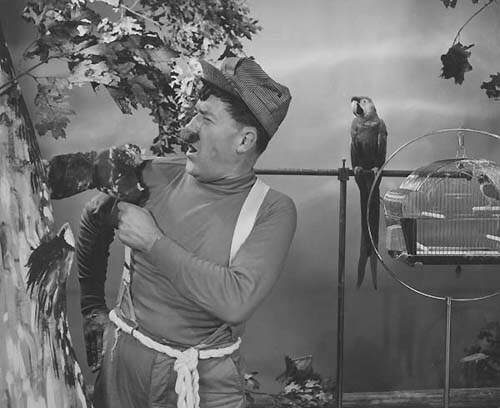 Towser always liked to pull down Axel’s suspenders, and the color broadcast was no exception! 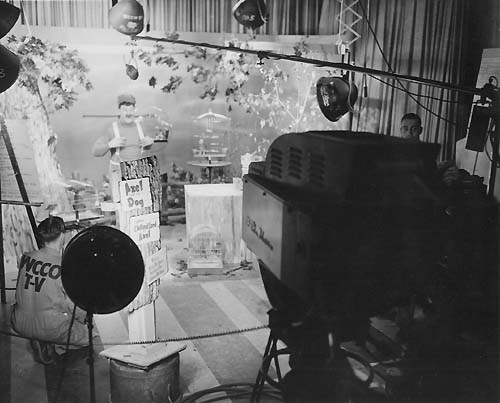 This is a wide shot of the set during the color broadcast of Axel and His Dog on October 8, 1954.